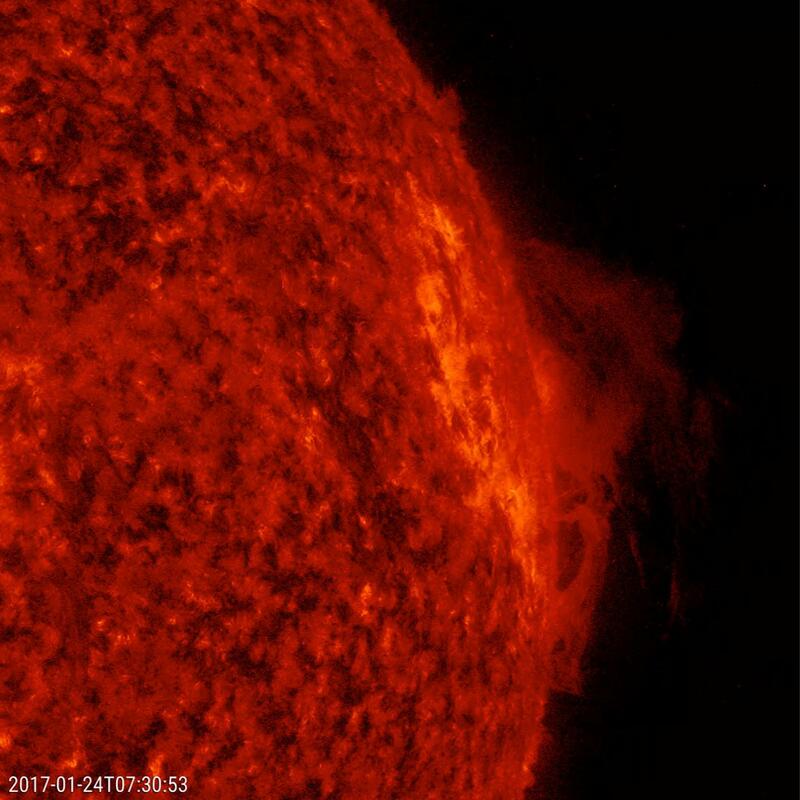 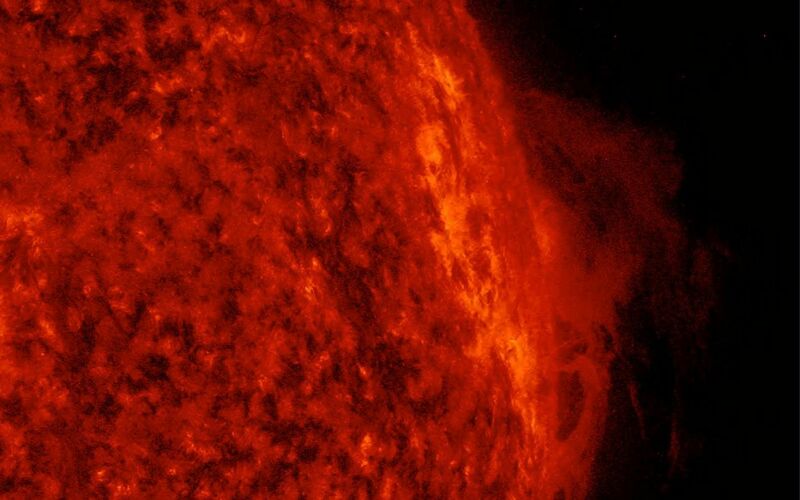 A solar prominence rose up along the edge of the sun and twisted and churned for about two days before falling apart (Jan. 23-24, 2017). 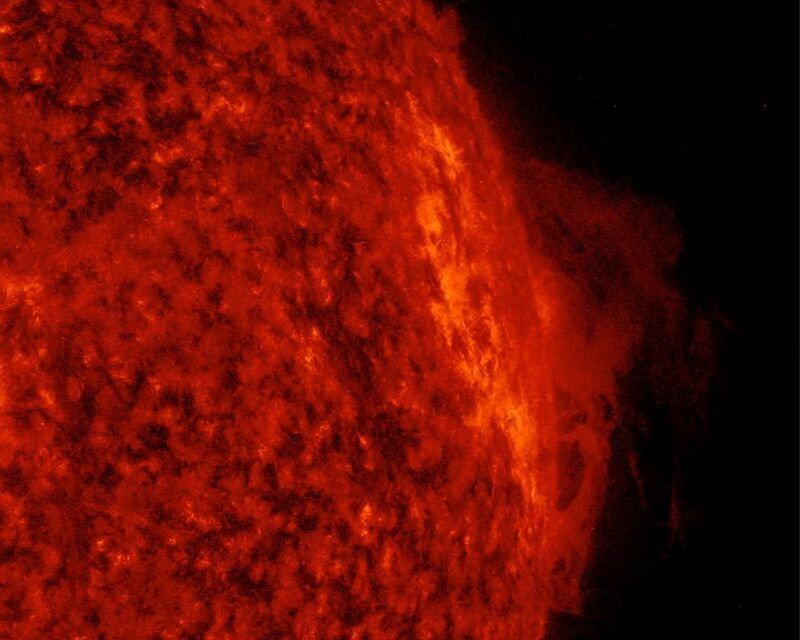 The dynamic action was generated by competing magnetic forces. 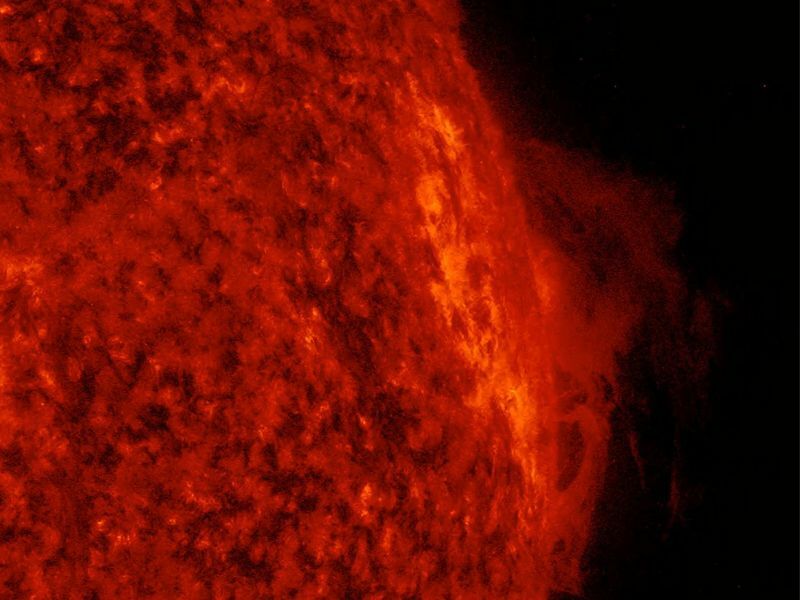 The images were taken in a wavelength extreme ultraviolet light that observes activity close to the solar surface, perfect for capturing prominences, which are notoriously unstable clouds of plasma suspended above the sun.